Did you buy your putter right off the rack at your local pro shop or golf retailer? Have you ever stopped to wonder if that putter is right for you? Quit blaming your putter! 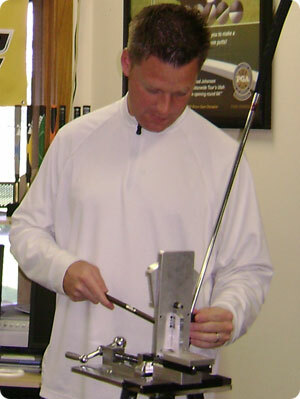 Have your putter fitted by PGA Professional Chad Johansen and staff today! Our state of the art putting studio combines the simplicity of video capture, using three camera angles, with advanced image tracking to take the guesswork out of putter fitting and instruction. No special putter is required – any putter will work. When custom fitting a putter to your putting stroke we analyze the 3 most important specifications of your putter. 1. Length – A putter with perfect length will place your eyes just slightly inside the ball. If a putter is too long, your eyes will be too far inside the ball. If a putter is too short, your eyes will be too far over the ball. 2. Loft – A putter with perfect loft will have the ball rolling off the face immediately after impact. 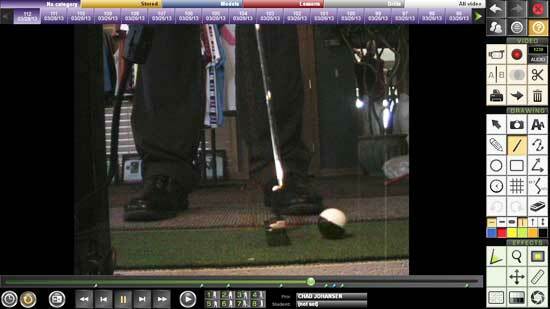 A putter with too much loft will make the ball jump and may cause it to go offline. 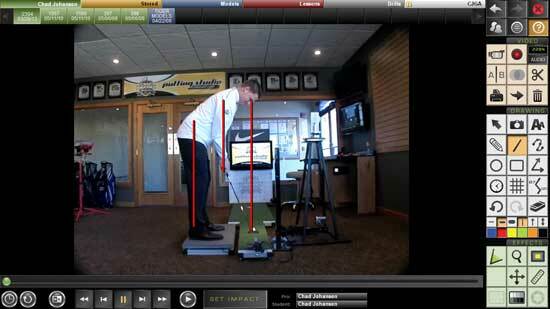 A putter with too little loft will drive the ball into the ground causing skid and inconsistent roll. 3. 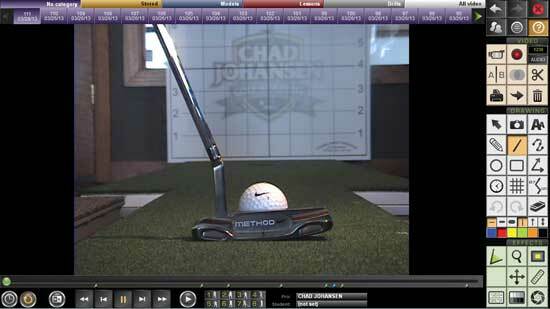 Lie – A putter with perfect lie sits very flat on the ground. 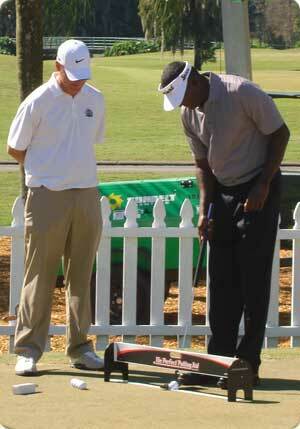 A putter that is too upright will have the toe sitting high off the ground and tends to cause a pulled putt. A putter that is too flat will have the heel sitting high off the ground and tends to cause a pushed putt. With all of this information we can easily determine what loft and lie specifications are right for your putting stroke, and with our loft and lie machine we can bend your putter to those precise specs. You will leave our golf shop with a putter that is fit perfectly for you and your specific putting stroke, resulting in fewer putts and lower scores!